Industrial Star Southern Highlands - Three large secondary rooms with separate living room perfect next gen home. DONT DELAY ACT TODAY MLS#2057647. Platinum R.E. Professionals. 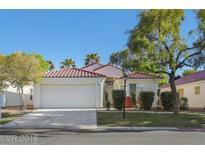 Bella Vicenza At Southern Highlands - Backyard incl. a heated pool & covered patio. 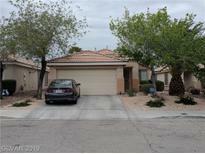 MLS#2057698. Prominent Realty Group LLC. Via Dana At Southern Highlands - Home has been freshly painted. Super home! ! MLS#2056237. BHHS Nevada Properties. Tuscan Cliffs At Southern Highlands - Pristine Southern Highlands Masterpiece * Seller spent nearly $600,000 in interior/exterior upgrades * Dazzling attention to detail * Nearly 3/4 acre lot situated next to community park * Backyard OASIS with custom pool/spa, wet deck, firepit, waterfalls, slide, pizza oven * Casita, cove lighting, plantation shutters, dual pocket doors, travertine flooring, Office w/bath, gourmet chef's kitchen and so much more * Sparkling clean and ready to go * MLS#2056995. Realty ONE Group, Inc.
Montagne Marron At Southern Highlands - A community pool is part of the Montagne Marron HOA. MLS#2056980. Opendoor Brokerage LLC. Bella Terra At Southern Highlands - Convenient to the Strip, airport, shopping, restaurants, schools and more! MLS#2056374. Signature Real Estate Group. Toscana Vinyards At Souther Highlands - Large Family Room With Fireplace That Opens To A Private Backyard Featuring, Built In Bbq Area And Sparkling Pool With Waterfall. A Must See! MLS#2056508. Vibrant Realty. Highlands Ranch - ft.*Featuring 3 bedrooms*A Master suite, An En Suite downstairs, 3rd bedroom with sitting room*1 family room down with access to a fabulous yard for all to enjoy*Pebble tech salt water spool with waterfall and fire pit*Built-in BBQ*East/West facing balconies*An incredible kitchen, large island, granite counter tops, living, dining, family rooms*So Highly Upgraded! MLS#2055718. Coldwell Banker Premier. 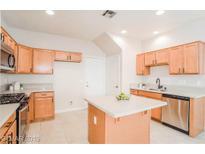 Great Kitchen with a Breakfast bar that opens up to the living area with a built-in fireplace with tile flooring. Spacious backyard with covered patio. MLS#2055424. Love Local Real Estate. 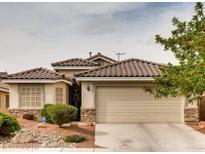 Bella Terra At Southern Highlands - Private back yard, patio - perfect Eastern exposure. Striking Mountain Views from Loft. MLS#2055198. All Vegas Valley Realty. Tuscan Cliffs At Southern Highlands - Fully finished backyard, with a covered patio, outdoor fireplace, pool & spa. MLS#2055224. Easy Street Realty Las Vegas. Foothills At Southern Highland - * *in Addition, Seller Will Contribute $10,000 Towards Your Closing Cost, Or Use It Towards Upgrades, Or Simply Deduct From Price* *master Bedroom And Family Room Have Triple Pane Windows That Block Any Noise From The Street! 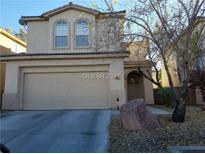 * MLS#2052945. Key Realty. Belmont Park - Stunning Home In Paseos Community Of Belmonte, 17k$ Sid Pd In Full, 200k$ In Upgrades, Gourmet Kitchen Features Granite Cntr, Farm Sink, Monogram Stainless Appliances, Office, Master Suite Down, Master Bath With Glass Enclosed Custom Tub & Shower, 3, Possible 5 Bedrooms, Plantation Shutters, Theater Room, Fireplace, 3 Way Glass Doors Open To The Outdoor Kitchen, Salt Water Pebble Tech Pool, Temp Control Kool Deck , Spa, Pergola Cover, Fire Pit. MLS#2051933. Property Search Vegas LLC. Toscana Vinyards At Souther Highlands - * Super Private Backyard W/Flagstone Patio And Cover* Easy Care Desert Landscaping* Only 1 Hoa In Southern Highlands-hurry! MLS#2052030. Keller Williams Realty Las Vegas. 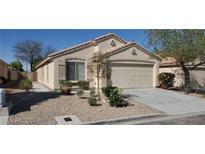 Travertine flooring, rich wood accents with wood beam ceilings, large kitchen with island and spacious master. MLS#2051448. BHHS Nevada Properties. Royal Highlands At Southern Highlands - Plus private galaxy like movie theater BEST IN CLASS MLS#2049482. Platinum R.E. Professionals. Accessible To Schools, Shopping And Freeway! MLS#2049988. BHHS Nevada Properties. Christopher Collections - Add features include: DEN DN, BD/Bath DNSTRS, LOFT UPSTRS, 3 Car G. MLS#2048743. Vegas Homes & Fine Estates. Estates At Southern Highlands - w/upgraded living & dining areas, open kitchen, waterfall pool & spa, wine cellar, game area, home theater and more, in a double-gated location that is walking distance to SH Golf Club & Spa. MLS#2048513. Southern Highlands Realty Corp.
Tuscan Cliffs At Southern Highlands - Enormous family room upstairs boasts a full bar & expansive balcony overlooking a stunning backyard w/pool, spa & covered patio. MLS#2047371. Huntington & Ellis, A Real Est. Royal Highlands At Southern Highlands - *luxury Living*2 Story Home In Southern Highlands*guard Gated*home Features An Open Floor Plan With 18" Tile Floors*4" Shutters Throughout*2 Master Suites*vaulted Ceilings W/ Fans*surround Sound*3 Cozy Fireplaces*gourmet Kitchen W/ 6 Burner Stove, Large Pantry & Granite Counters*sink In Laundry Room*huge Tub & Glass Shower In Master Bathroom*basement W/ Theater Room Is A Plus*sparkling Pool & Spa W/ Waterfall In Back*gazebo*lush Landscaping* MLS#2047651. Keller Williams Market Place. Relax on either of the dbl balconies. 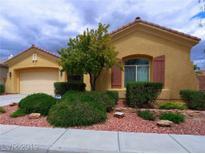 MLS#2047039. Las Vegas Realty Center. Southern Highlands - *luxury Kitchen W/ Granite Counters & Stainless Steel Appliances *oversized Kitchen Island *custom 3" Shutters *surround Sound In Living Room *ceiling Fans In Every Room *travertine Throughout *large Master W/California Closet *huge Walk In Shower W/Dual Shower Heads *upgraded Vanitys *dual Sinks In Master *spacious Den For Home Office *covered Patio W/Heated Pool & Spa *outdoor Kitchen Island* This Is A Must See! MLS#2044327. Win Win Real Estate.